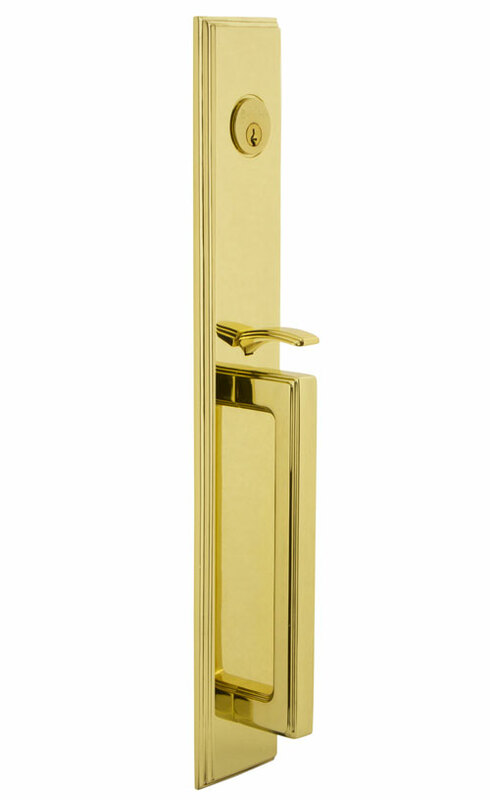 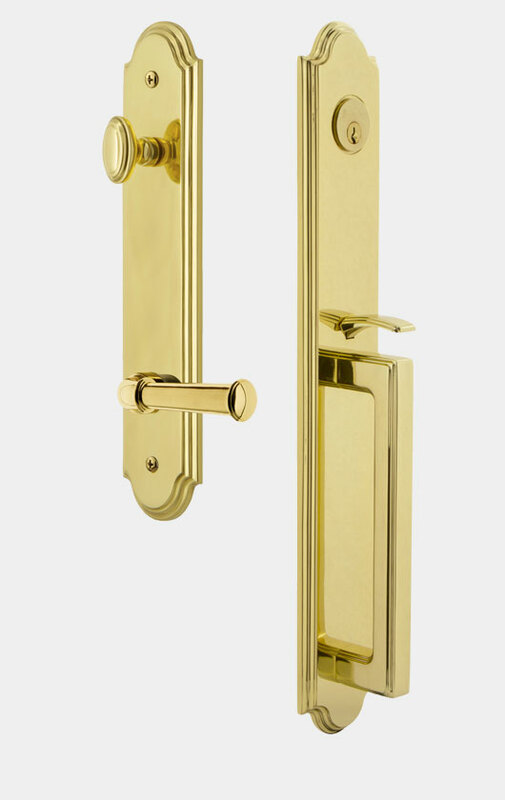 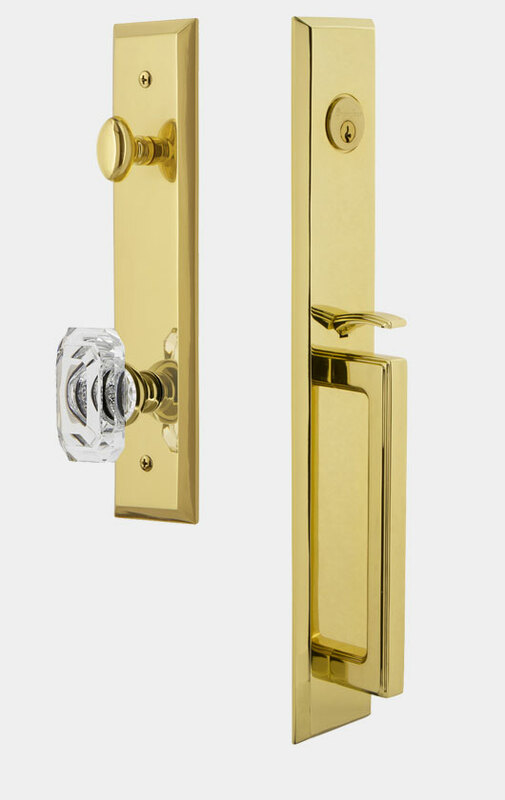 Immaculately crafted from solid forged brass, the Grandeur One-Piece Handleset adds a simple, yet sophisticated design element to any front door. 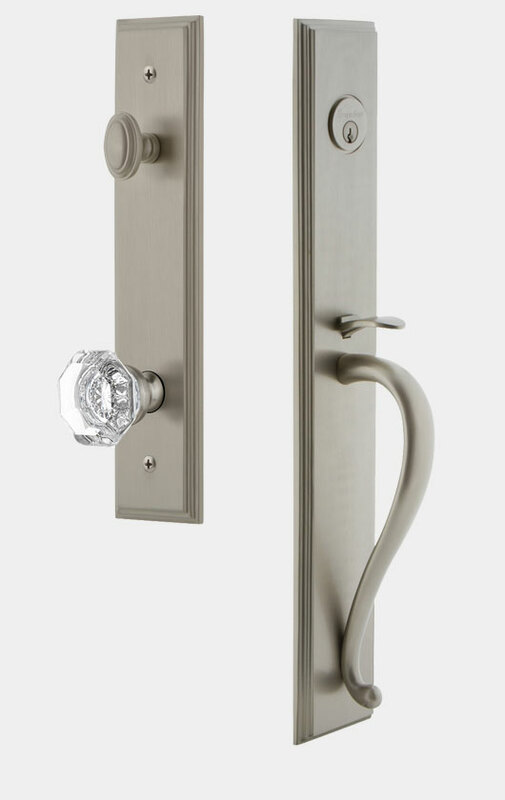 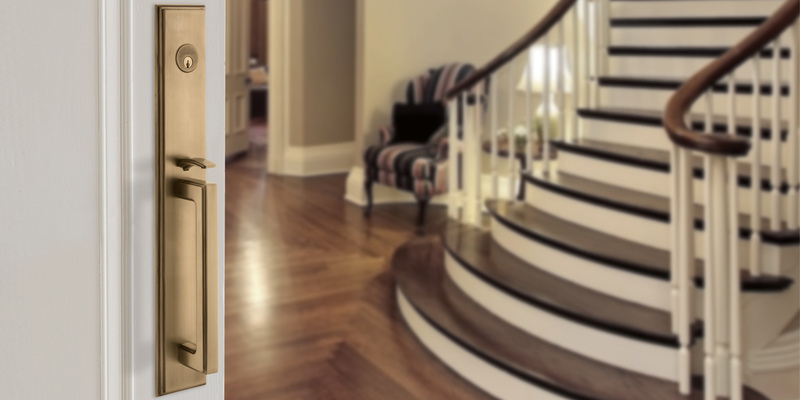 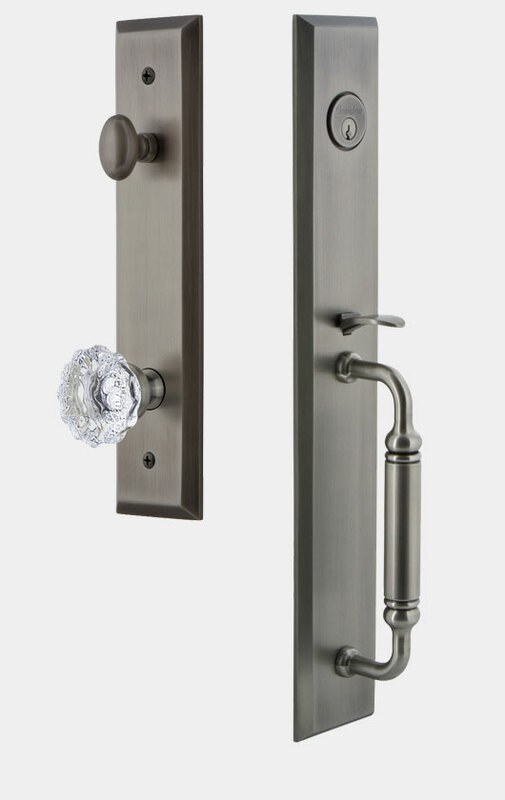 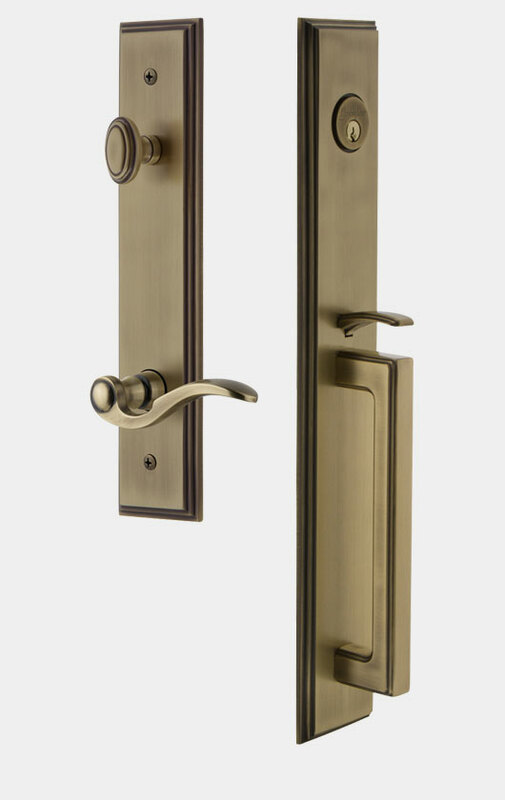 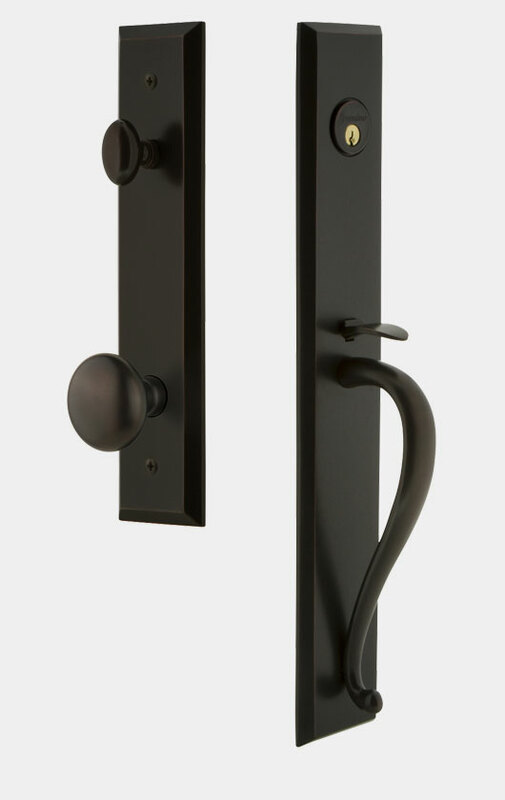 The handlesets are available in three distinct styles that match our most popular designs, including the Arc, Carré and Fifth Avenue Collections. 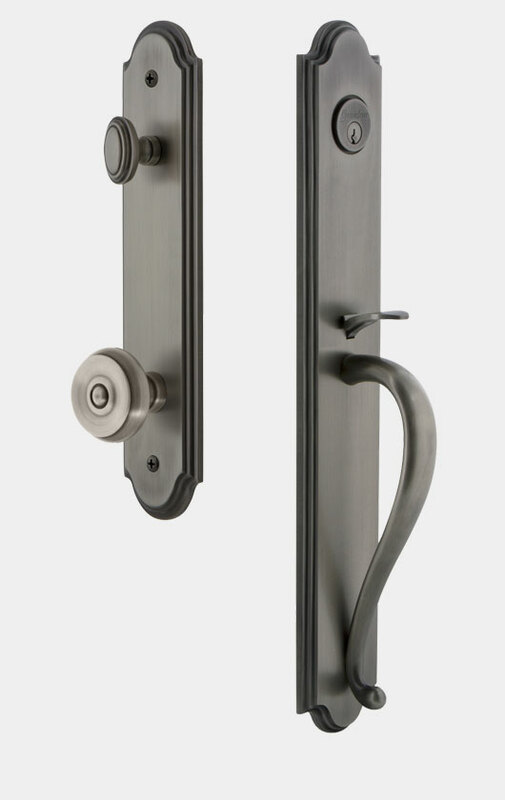 Each handleset is complemented by one of four elegant grips – traditional S-Grip, standard C-Grip, fluted F-Grip and a brand new Square D-Grip for a more contemporary look. 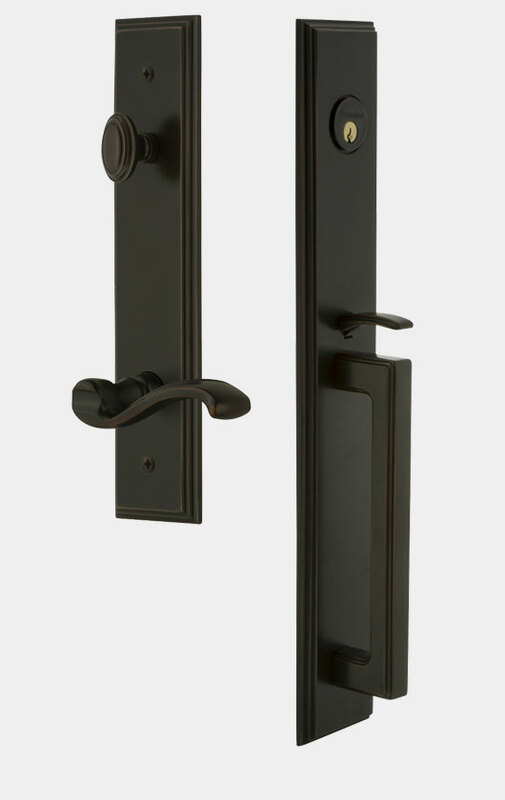 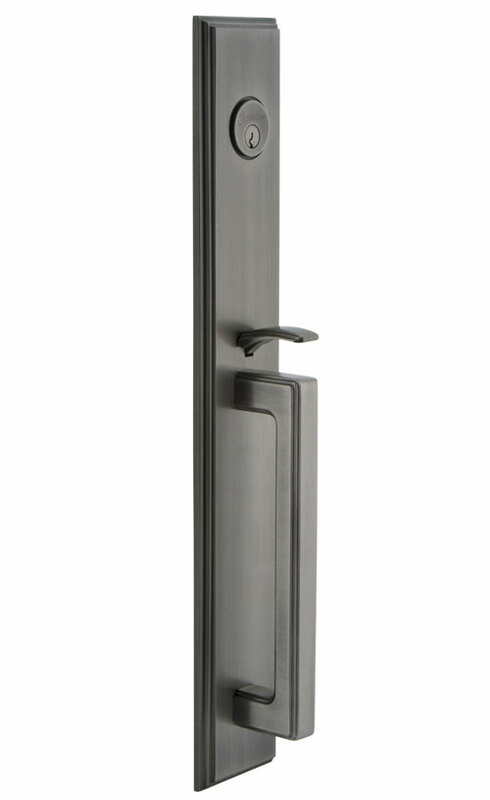 Add the matching Tall Plate Interior Half with built-in deadbolt. 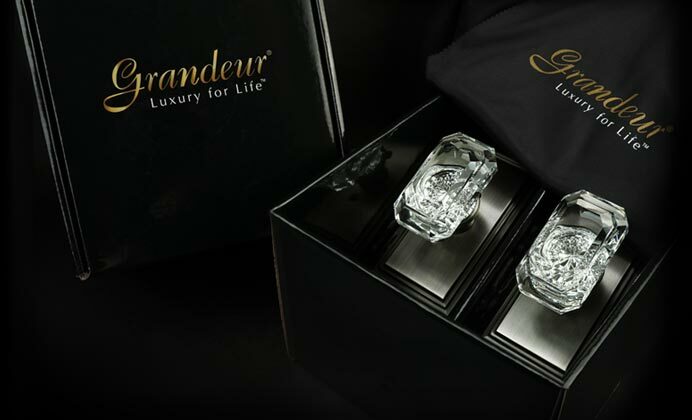 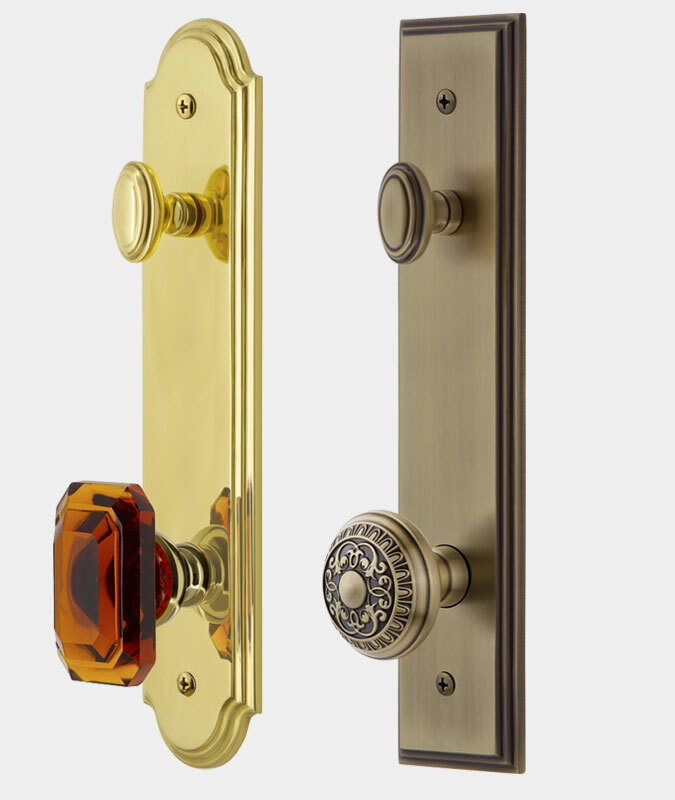 Choose any Grandeur knob or lever combination to complete your look. Available in Fifth Avenue, Carré and Arc tall plate designs. 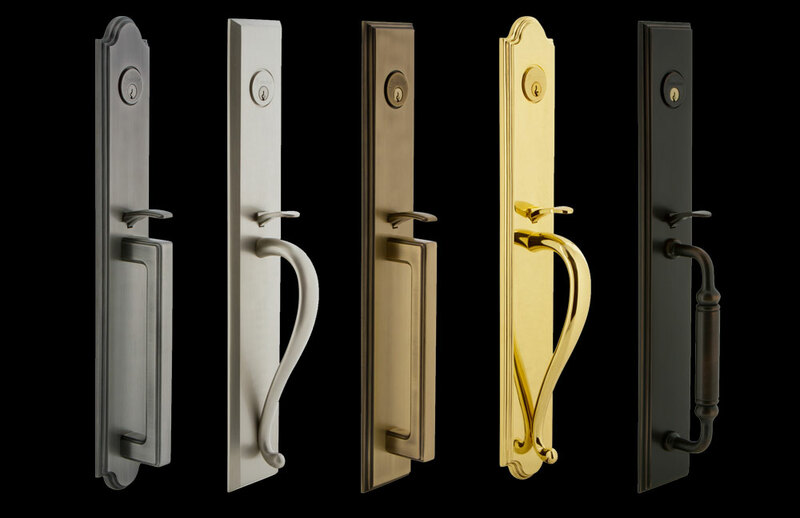 Five flawless finishes give you flexibility to make a bold statement or match existing decor in your home. 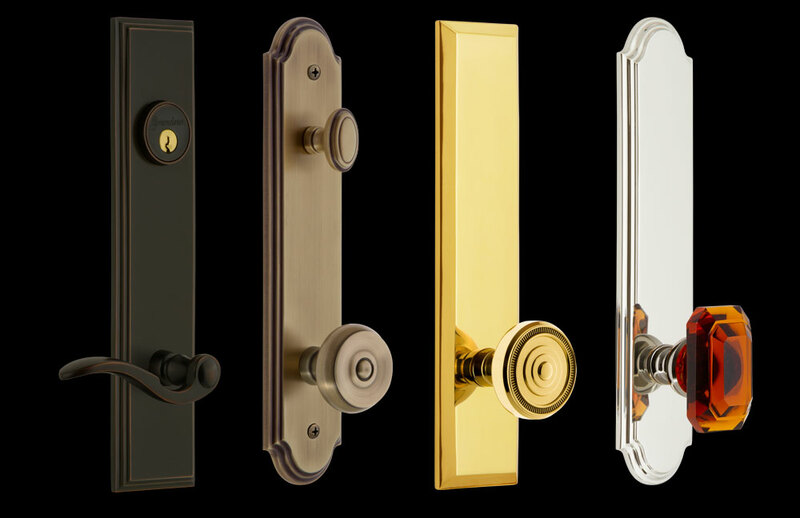 Eight flawless finishes give you flexibility to make a bold statement or match existing decor in your home.